It was during the Tang Dynasty that Xi&apos;an (then known as Chang&apos;an) rose to its highest prominence from the 7th to the 9th century AD. Discover the most essential highlights today with us which showcase the best the Tang Dynasty left behind. Your guide and driver will meet you at your hotel to begin your explorations of the city. Your first stop will be the Buddhist Famen Temple. It is an outstanding example of Buddhism temple architecture and layout, and True Relic Pagoda is the star of the complex. 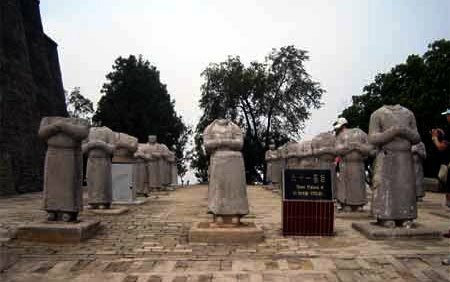 After lunch, continue your tour to the Qianling Mausoleum, the final resting place of Emperor Gaozong and his Empress Wu Zetian, the first and only female ruler in China&apos;s past. The rows of stone figures bearing the shape of military soldiers and exotic animals such as ostriches, winged horses, and more are highlights you should not miss. Qianling Museum close to Qianling Mausoleum houses a collection of numerous cultural relics unearthed from Qianling Mausoleum. Chinese lunch at well selected restaurant. Between your hotel and scenic spots by private air conditioned vehicle. An English-speaking guide and driver provide you with the best local knowledge available.